The Austin Civic Orchestra has grown over the past 40 years into one of the largest civic orchestras in the country, thanks to the support and dedication of our patrons. Our musicians volunteer their time and talents – in fact, they pay membership dues – in order to be a part of the ACO. 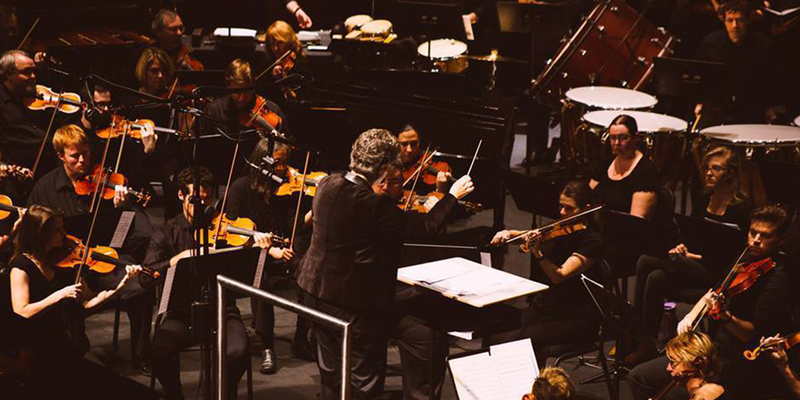 The Orchestra has many fixed expenses, such as renting performance venues, music, and equipment; storing and transporting equipment; hosting receptions for the public and guest artists; designing, printing, and mailing programs, tickets, and notices; maintaining a web site and mailing lists; and buying insurance. It costs thousands of dollars to present a concert performance, and ticket sales fund only about 20% of that amount. Our commitment to keeping ticket prices low has made classical music accessible to central Texas, which is how we want to keep it. Donations by individuals and corporations are vital to the operations of the Austin Civic Orchestra. The ACO offers free entry to youth under 18. Your donation makes this possible! We've been in tune with Austin since 1977. Support our work behind the scenes! With your help, the ACO can embrace the classics and explore the future with new works. Music stands, percussion, and more. Help us set the stage for our next performance! The ACO uses several media channels to expand our reach and attract new audiences. Help us grow! Performing in quality concert halls allows us to sound our best for our Central Texas communities. The ACO offers free admission to our Pops Concerts each spring. Let's keep quality classical music experiences accessible to all! Targeted donations are donations made to the ACO for specific purposes. To make a targeted donation, merely indicate the area toward which you want your donation to apply. Possible areas include mailing and printing, facility fees, and score purchases. Sponsoring the ACO is a great way to show your support as well as get your name out there to our concert goers and website visitors. If you or your business would like to sponsor the ACO, head over to our sponsorship section to learn more. Follow us for more updates and news! For questions or comments, contact us. All rights reserved. All trademarks and logos depicted are the property of their respective holders or owners.